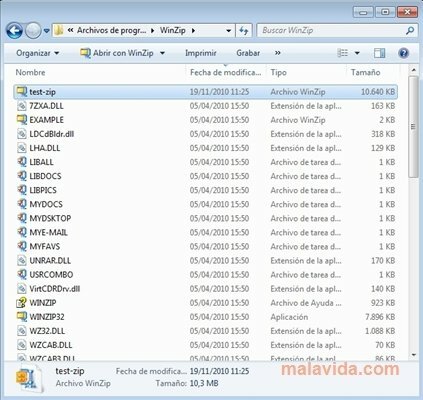 WinZip Command Line Support is a complement that allows you to use the WinZip compression application from the Windows command line. With WinZip Command Line Support you will be able to use WinZip directly from the system symbol or from scripts. 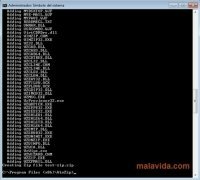 If you usually work by means of the command line terminal, WinZip Command Line Support will allow you to compress and extract files from here in a simple way. 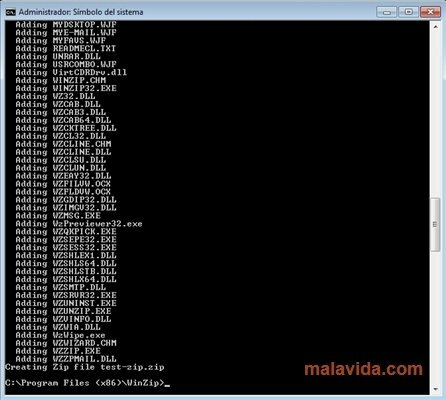 Once you install the complement, WinZip Command Line Support detects whether the WinZip program is installed, and if so, it will install on the system. 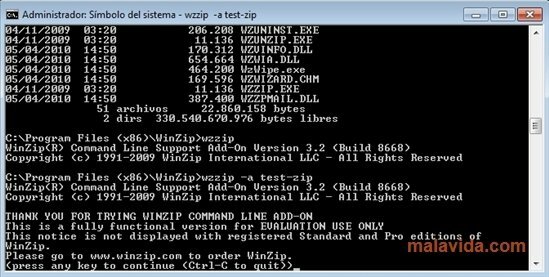 If you aren't an expert launching commands, don't worry, because WinZip Command Line Support has a help file that can be used as a guide to be able to use the complement properly. With WinZip Command Line Support you'll be able to compress and expand files by inputting the proper command. To compress you will have to write wzzip and the parameter you desire, and to expand wzunzip. You'll also be able to input the compression level that you want the file to have, and any other feature that WinZip allows.